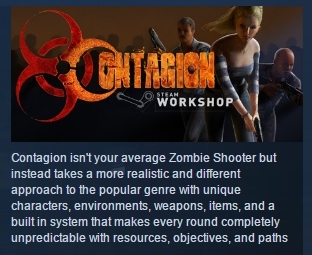 Contagion - game in the genre of "cooperative survival horror fps", created on the latest version of the engine Source, in which players have to monitor the amount of ammo and shoot accurately, otherwise they risk becoming recruits hordes of undead. 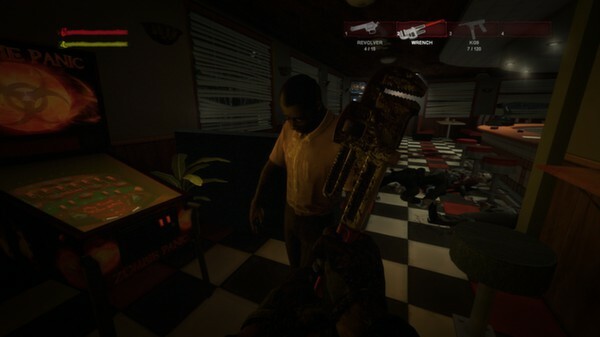 Players will not only fight with the usual dead. Their main enemy can become their dead comrades, who turned into a zombie, and you do not recognize as a friend, as well as food. 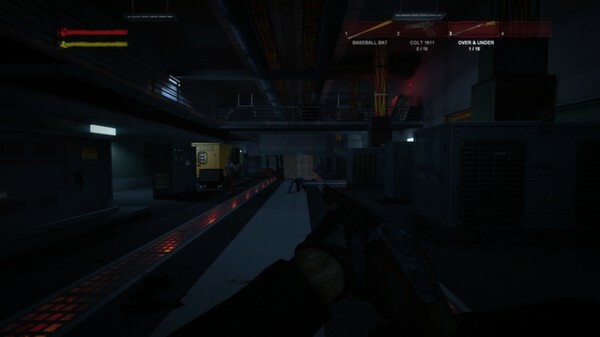 ★ Play in single player mode, or with friends and other players on the internet. ★ You can play not only for survival but also for the zombies! ★ Elaborate system of random appearance of ammunition and facilities necessary to perform the tasks. ★ unpredictability Intelligence System appearance of zombies, which governs the actions of the players.